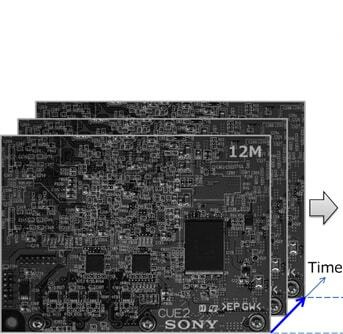 Tokyo, Japan — Sony Corporation announced today that it has succeed in developing Pregius S, a stacked CMOS image sensor technology that employs Sony's proprietary global shutter function with back-illuminated pixel structure to deliver both distortion-free, high imaging performance and miniaturization. The new sensor technology is intended for industrial equipment used in fields such as manufacturing, inspection, and logistics that require higher precision and higher processing speeds, in light of the trends in industrial advancement including factory smartification and automation. 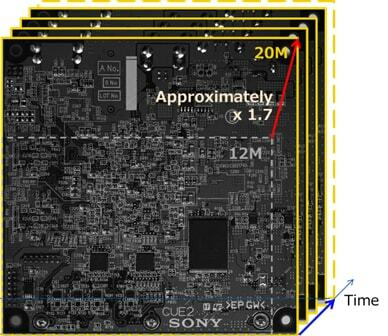 *1:Comparison of a 1.1-type sample using this technology with Sony's IMX253 1.1-type 12 effective megapixels front-illuminated CMOS image sensor.